Janet was elected to the Board in 2009 and is serving her fourth term, along with her seventh year as Board President. She has served on various committees and sub-committees including Community and Governmental Relations, Personnel and Policy, Buildings and Grounds, Pupil Services, Southeastern Wisconsin School Alliance, and Coherence Planning. Janet is currently elected to a 3-year term as a CESA #1 Board of Control member and is serving as Treasurer, is a former City of Franklin alderman, and a fourth level WASB Leadership Award recipient. "It is an honor to serve on the Board of Education. I am passionate in the belief that the education of our students is the shared responsibility between our schools and the community. In serving you, I will use sound judgment regarding budgetary issues, including planning for uncertainties in funding for the future, while ensuring high student academic achievement remains a priority. I will strive to keep the best interests of the district and community in mind." Tim got elected to the School Board in April 2011 and has been a Franklin resident since 2001. 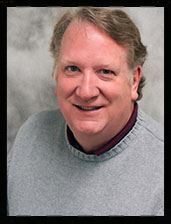 Tim has an accounting and finance background and is President of Popp Dental Supply, LLC located in Greendale. "Having people put their trust in you enough to vote you onto school board is humbling. I strongly believe in enriching the quality of education while being fiscally responsible, being fair and informed when making crucial decisions regarding district matters and building open communication between the school board and the community." Linda has been a Board member since 2008. She is currently serving as the Board Treasurer and has also served as the Board Clerk. She has served in a liaison role for Curriculum, Buildings and Grounds, Finance, Personnel and Policy, and Community and Governmental Relations. Her work has resulted in changes in both the Board and Superintendent annual evaluations as a way to continuously improve. Her work has also included in participation in committee work to review and recommend the 2012-2015 District Information and Technology Plan. "Being a board member is important to me because it allows me to give back to the community and share my experience as a parent and a citizen. I think public education is important for building a strong community and building the future of our children." Larry began serving on the Franklin School Board in February 2017. In 1996, Larry and his family moved to Franklin. His three children all graduated from Franklin Public Schools. Larry graduated with a BS in Business Administration from The Citadel in Charleston, South Carolina. He is a former airline pilot and retired from the military having served 25 years, retiring from the US Air Force in 2008. Debbie has served the Franklin School Board from 2003-present. She has served as the Chair of the Building and Grounds, Curriculum, Personnel and Policy and Community and Government Relations committees. She has also sat on the Curriculum, Building and Grounds, Personnel and Policy, Community Education/Recreation and Community and Government Relations committees in the past. "Being a board member is important to me because I have dedicated my adult life to education. I am a life long learner and a teacher. I believe I bring a different perspective to the table as both an educator and a parent. With five children, three of which have graduated and two that are currently enrolled in the district, I only want a world class education for not only my children, but our entire community. This is why I work as a board member." Claude is the newest member of the school board joining in April of 2018. Claude and his wife moved to Franklin in 1986 and all three of his children attended k-12 in Franklin. Claude is currently retired and comes with a background in Human Resources. Claude and has served in positions of HR Global Technology Manager, Corporate Benefits Manager for GE Marquette Medical Systems and for the past 17 years has served as Vice President of Human Resources GA Precision in Franklin.